“I can’t do this.” Evie pulled away, her cheeks burning with a flush of heat. She knew Zane, the dark, passionate, slightly awkward high-school senior who made her stomach flutter when he smiled; the boy with a good heart who’d been dealt a bad hand in life; her protector and one-time friend. But this man . . . this biker—broad and heavily muscled, tatted and pierced, ruthless and dominant, who walked and talked with confidence and swagger, and so easily manipulated her body, awakening long dormant passion and desire—was a stranger to her. A stranger who made her body respond with a single touch. 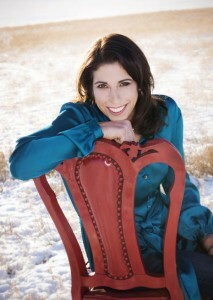 A stranger who ignited a blazing hot chemistry that made her feel alive. A stranger who had disappeared when her father’s body was still warm on the ground. Her breath left her in a rush, her knees giving way. If not for his arms around her, she would have fallen to the ground. “In my heart I knew, but I needed to hear it,” she whispered. “And I needed to say it.” He brushed a rough finger over her cheek. “After I saw you again, and we had words, I thought we were done. I thought I wouldn’t be able to get over the fact you didn’t wait for me. But I couldn’t stop thinking about you. When I was at your place, and T-Rex had his hands on you . . .” He drew in a ragged breath. “We’re not done, Evie. I don’t expect you to forgive me for leaving the way I did, and maybe one day I will understand why you didn’t wait, but I will never be done with you.” He cupped her face between his hands and kissed her. At first, his lips were soft, hesitant, as if he thought she might slap him again, but when a low moan escaped her lips, he deepened the kiss, pulling her closer as he ravaged her mouth. Evie wrapped her arms around him and molded her body against his as she met every desperate stroke of his tongue with one of her own. His grip tightened and when she tried to pull away, gasping for breath, he nipped her bottom lip demanding more. God, those two words, demanding and defiant, laced with expectation and desire, did strange things to her stomach. If it had been anyone else she had agreed to meet for dinner, she would have done as he asked. But she had no way of contacting Viper other than making a trip to his clubhouse, which she wasn’t prepared to do, and as Connie said, he wasn’t the kind of man to blow off in such a casual manner. Plus, she needed some distance. Kissing Zane had never been in the program. “Then I’ll find you.” He didn’t wait for a response. Instead he reached over her for the paint box, then took her hand and led her out of the closet, as if he could keep her from running with only his touch. 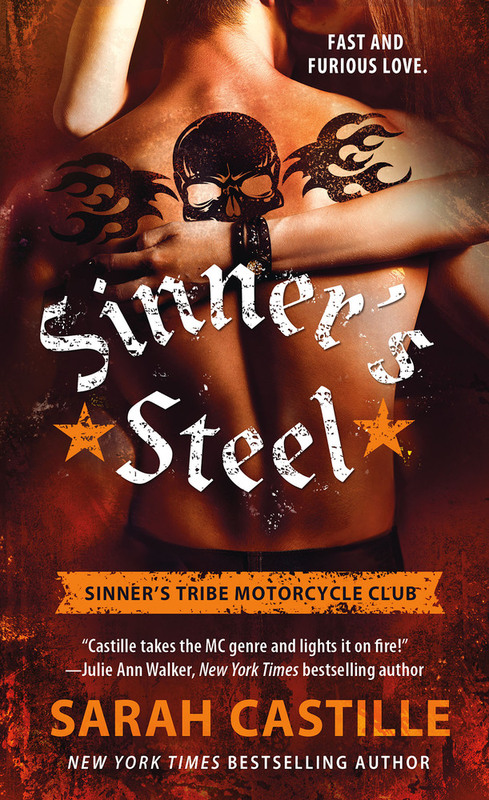 Sarah Castille’s Sinner’s Tribe MC series gets better with each book. While I enjoyed Rough Justice with Jagger and Arianne, and loved Beyond the Cut with Cade and Dawn, Sinner’s Steel is my new favorite. I’ve been on the fence wanting Zane’s story, I couldn’t begin to imagine what Castille had in store for him. Starting Zane and Evie’s story in the past only had me ready to know what was going to happen in the now. I loved that Zane, Evie and Jagger have history. The flashbacks and references to the past balanced the action in the present and really have you in both Zane and Evie’s heads. Their chemistry blazes hot and kept me turning the pages. 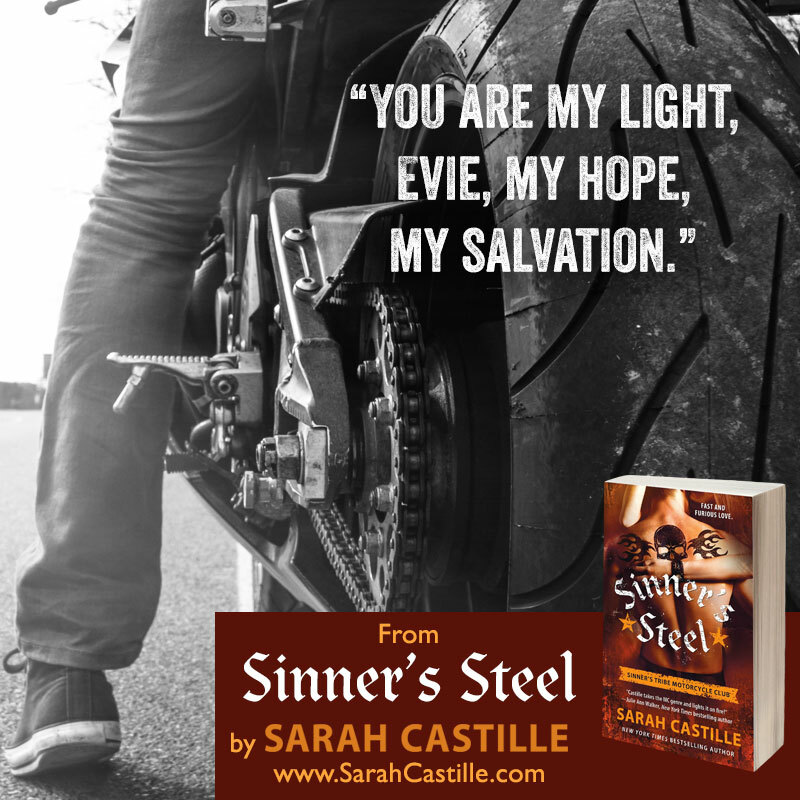 I’m enjoying the Sinner’s Tribe Motorcycle Club and can’t wait to read more from Sarah Castille. I wonder which bad boy biker is next.